Hey there, can you introduce yourself? Tell us a bit about the book? 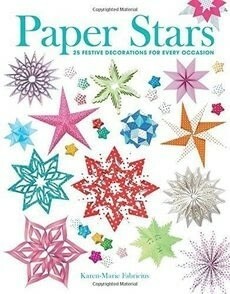 There are 25 lovely stars- from simple cut out and origami stars to amazing large quilling stars. What was the inspiration behind it? Four years ago I made new technique for Quillingstars and in our shop we allready folded origamistars and plaited stars so looking at all the different stars gave me the idea. Which is your favourite project? Star number 22 "Sirius" is one of my favorits- but it is not easy for a mother to choose between her babies!!! What is your craft space like? I am not sure what you mean? What else? : Cooking, flowers, drawing. Have you always been creative? Yes, I have been working with wood and crayons from an early age. My granddad learned me a lot of drawing. When did you first start crafting? Crafting was always there... I remember the fancy moneybottles I decorated for birthday gifts. Who are your crafty heroes? I love grandma Moses she was a painter but I find the naive style very inspiring. Nature and in all kind of patterns. Just now I am finishing the Christmas designs for this year- in our company we design a lot of kits. For the summer I have made new boats and houses in 3D quilling and it is so fun to work with so I have to make more. Scandinavian style is a popular design trend that is here to stay, and paper stars are featured heavily in this style. In Paper Stars, well-known artist Karen-Marie Fabricius provides 25 charming designs, each with detailed step-by-step instructions and gorgeous photographs. 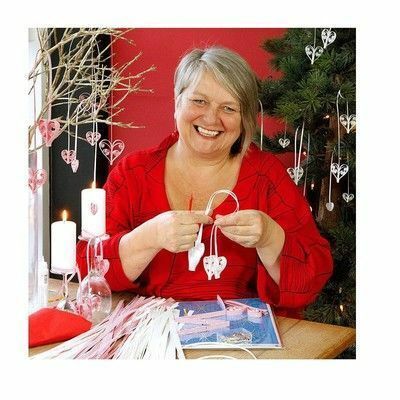 Crafters will also find complete advice on the techniques required, such as quilling, as well necessary tools and materials to purchase. Karen-Marie even shows how to make your own tools. These pretty paper stars are not only perfect for Christmas, but they also look wonderful year-round, hanging on a window, from the mantelpiece, on cupboard doors, or as unique adornments for birthday presents. 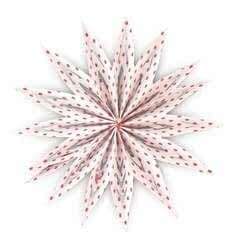 Making these paper stars is a fun craft for the entire family.